We may or may not be familiar with the word memory dump. But, It’s an important thing. 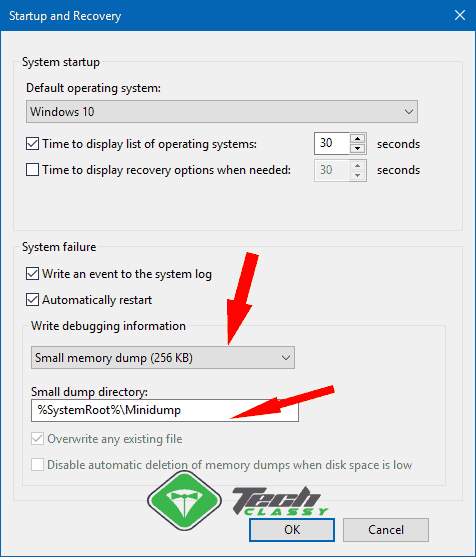 This article is about how to create small memory dump/minidump file, read and analyze it. You will also know why it is so important. The users who have faced blue screen of death error, they might have heard about memory dump. But, Most of you don’t know about it. So, Before getting into the main points, you should have an idea about the dump file on Windows. It is the largest dump file in Windows. It contains all of the memory related information. The complete memory dump has many advantages. But, Sometimes, It may take a significant amount of disk space. It is much smaller than the complete memory dump. It contains all the memory usage information by the kernel at the time of the crash/system failure. It is the smallest in size. It contains some basic information about the drivers, kernel etc. Generally, Its size becomes 128 or 256 KB. It helps to identify driver related errors like the blue screen of death. Technically, You won’t have to create a memory dump. Windows will automatically do it. You can just configure Windows so that it creates small memory dump or minidump. So, Here are the instructions on how to do it. At first, Open the Start Menu, type sysdm.cpl and hit enter. It will open System Properties window. Now, Go to Advanced tab and click on the Settings under the Startup and Recovery section. Then, Click on the drop down option under the Write debugging information section. Choose Small Memory Dump (256 KB). Generally, The minidump file location is %SystemRoot%\Minidump by default. Which means you can find the dump file in C:\Windows\Minidump. But, You can change it if you want. You have just configured your PC to create small memory dump file. So, It will store all memory related information on a single file when you will encounter blue sreen error. But, After that, What you will do? How can you read it? How will you understand what is causing the problem? It’s actually a very easy process. Thanks to the NirSoft. They have created a simple program “BlueScreen Viewer” that can read and analyze the small memory dump file. You can download it from here. Then, Unzip and open it on your PC. After that, Just browse the minidump file and read. When you will open a minidump file in blue screen viewer, it will show you a bunch of basic data. You will find the problematic files highlighted which have caused the last blue screen of death errors. The problem is when you will analyze the dump file, it will highlight the .sys file name. It is actually related to a driver on your PC. For example, bcmwl63a.sys is related to the Broadcom WiFi driver wireless driver. But, How you will understand it? There is two easy ways. You can just follow these instructions. At first, Go to C:\Windows\System32\drivers\. You will see a list of .sys files. Just, Find the one that you found highlighted in bluescreen viewer. Then, Right click on it and go to its properties. After that, Click on the details tab. You will see the driver information in the description. If you don’t like this way, you can search on google about the .sys driver name. It will help to find the actual name of the problematic driver. 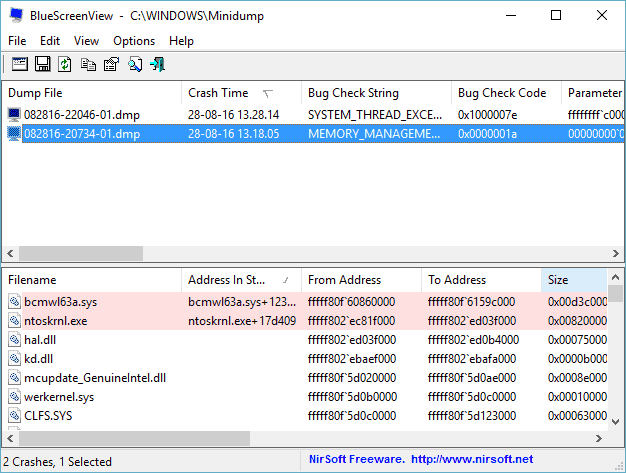 So, You have already understood that a minidump file is very important to identify the reason behind an error on Windows. After finding the problematic driver, you can either update it, rollback or uninstall to solve your problem. I hope this article will help you to create small memory dump. It will also help to identify and fix various system problems on Windows.